The Food and Drug Administration (FDA) announced a major crackdown on the vaping industry, particularly on the trendy Juul devices, aimed at curbing sales to young people, The New York Times reports. 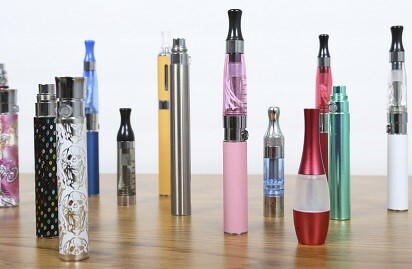 Vaping is the act of inhaling and exhaling the aerosol, often referred to as vapor, produced by an e-cigarette or similar device and has become more popular among teens than regular cigarettes. One of the slang terms for vaping, known as JUULing (“jeweling”), comes from the JUUL brand device that looks like a flash drive, as opposed to a regular e-cigarette. The FDA started an undercover sting operation this month targeting retailers of Juuls, including gas stations, convenience stores and several online retailers. As part of the crackdown, the agency demanded that Juul Labs turn over company documents focused on the sales and research behind its products. The FDA is looking to determine whether Juul is intentionally marketing to teenagers and youth, despite the company’s statements to the contrary. Gottlieb added that this effort was the first of several steps the agency would be taking as part of a new Youth Tobacco Prevention Plan to get manufacturers to stop marketing e-cigarettes to young people. Few teens addicted to painkillers receive treatment, a new analysis of federal data finds. Youths of color are especially unlikely to receive treatment.